The National Informal STEM Education Network (NISE Net) is offering 250 free Explore Science: Earth & Space 2017 toolkits to new and existing eligible partners in the U.S. In collaboration with NASA, the NISE Network has assembled a new set of engaging, hands-on Earth and space science experiences with connections to science, technology, and society. This will be a great resource to use in connection with the 2017 total solar eclipse among other Earth and space events happening year round. 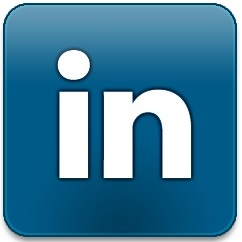 For more details about this project visit http://www.nisenet.org/space. Please complete your Building with Biology final report online after hosting your last event; instructions for completing the report can be found at http://www.buildingwithbiology.org/get-involved. This past summer 100 NISE Network partners received an Explore Science: Zoom into Nano physical kit as a resource designed to facilitate new or expand collaborations with local community partners in an effort to engage underserved audiences in nanoscale science, engineering in technology. Partners' collaborative projects took place over the summer at Boys & Girls Clubs, in YMCA's and 4-H Clubs, at children's museums, and in Scouts programs to name just a few. The recently announced new NISE Network project, ChemAttitudes, is kicking off this month.This project will design, test, and implement a framework for increasing interest, sense of relevance, and self-efficacy in chemistry among people who attend museums programs and other kinds of informal events such as National Chemistry Week. With this project, 250 free physical kits will be available to partners to apply for in early 2018. To learn more about this project, visit http://www.nisenet.org/chemattitudes. The National Informal STEM Education (NISE) Network regional hub structure has changed slightly with some regions being combined with others. 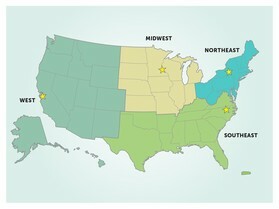 With the addition of new projects, the Network's regional hub structure now consists of four regions: Northeast, Southeast, Midwest, and West (as compared to the previous seven regional hub structure). For partners previously included in the Mid-Atlantic, South, and West regions, this means that you now have a new regional hub contact for Network correspondence. Please read the Network transition blog post for more details. Are you deep into planning for National Chemistry Week festivities? This annual event, which is a community based program of the American Chemical Society (ACS) unites ACS local sections, businesses, schools, and individuals in communicating the importance of chemistry to our quality of life. NISE Network partners are encouraged to seek out local partners to carry out National Chemistry Week events. For additional resources, such as learning more about how to get involved, hands-on activities, finding an event in your area, and event coordination resources visit http://www.nisenet.org/national-chemistry-week. Children’s Museum of Eau Claire's "Science Troupe" visits Science Museum of Minnesota! The Children's Museum of Eau Claire's "Science Troupe" summer camp participants are an elite group of middle school students who engaged in the NISE Network's Explore Science: Zoom into Nano kit as part of their weeklong camp. The Children's Museum partnered with the Eau Claire YMCA to create this opportunity for underserved youth in the area, to expose students to STEM topics including nanoscale science. Science Troupers learned leadership skills and even had the opportunity to not only play with the Explore Science: Zoom into Nano hands-on activities but were also able to facilitate them on the museum floor. As a capstone, Science Troupers were treated to a behind-the-scenes look around the Science Museum of Minnesota where they talked with educators, actors, and exhibit designers to better understand the work that goes into producing science products and shows. Read the full Partner Highlight for the Children's Museum of Eau Claire's Museum & Community Partnerships project. In July, scientists, students, and families came together at Port Discovery Children's Museum in Baltimore to explore and discover the emerging field of synthetic biology. The event proved to be an opportunity for the museum to forge new partnerships with local universities and scientists who facilitated the Building with Biology hands-on activities, as well as some of their own activities with museum guests. Feedback from children and parents was positive with both expressing excitement over the special science activities. Through this project opportunity, the museum was able to not only further their mission to connect purposeful plan and learning through meaningful science experiences, but also to make new connections in the community. Read the full Partner Highlight about Port Discovery Children's Museum's Building with Biology event and it's greater impact. #BuildingwithBiology was such a success last Saturday! Real life scientists + aspiring scientists = learning & FUN! 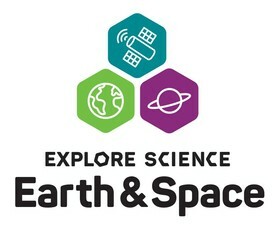 NISE Network online workshop: Explore Science: Earth & Space toolkits (Recorded) - This recorded online workshop provides an introduction to the new Space & Earth Informal STEM Education (SEISE) project; focusing primarily on an overview of what's in the Explore Science: Earth & Space toolkits, including information about how to apply and eligibility requirements. These online workshops and toolkits are open for both new and existing NISE Network partners. Sustainable Nano podcast - Curious about nanotechnology, sustainability, or life in science? The Sustainable Nano podcast is produced by the Center for Sustainable Nanotechnology, a chemistry research center funded by the National Science Foundation. Episodes focus on what nanotechnology has to do with sustainability, car batteries, viruses, and more. Researchers from National Taiwan University and Academia Sinica have developed a white LED (WLED) using a hybrid metal-organic framework (MOF) material that produces white light emission similar to natural sunlight. Widespread use of low-power, long-lasting LEDs in the U.S. could save nearly 348 terawatt-hours by 2027, an amount comparable to the annual output of 44 power plants, according to the U.S. Department of Energy [read more about the use of graphene for LEDs]. Scientists around the world are inching toward the development of a fully functioning quantum computer, a new type of machine that would be capable of cracking the Internet’s most widely used codes in a fraction of the time it takes classical computers. Currently, computers encode information in a series of bits, which can either be 0 or 1, but a quantum computer is fundamentally different in the way it stores information. Instead of bits it stores information as a qubit, which can either be 0, 1, or both at once, which allows allows physical objects to exist in multiple states or even be in different places at one time. Countries around the world are making incremental and important steps in the quantum computing race although it's still unclear when quantum computing will arrive but it could be in as little as ten years [read more about quantum computing]. Vanilla is one of the world's most popular flavors but less than 1% of it comes from a fully natural source, the vanilla orchid. In 2015, some big food brands, led by Nestle, vowed to use only natural flavors in products marketed in the U.S., which happened just as a shortage of natural vanilla was emerging. Over the last century, chemists have created imitation vanilla made of vanillin, the main flavor of cured vanilla beans, which is synthesized from pine bark, clove oil, rice bran, and lignin. As manufacturers are pushing to go all-natural, flavor firms are working to develop and supply natural alternatives that can help satisfy consumers' cravings for vanilla while ensuring the future of sustainable, high-quality vanilla production [read more about Vanilla production]. Due in part to an exceptionally warmer spring in Greenland, a rock outcrop that had been previously covered by ice and snow is now exposed and may contain what Australian scientists believe to be the oldest fossil on Earth. Within the outcrop are fossilized stromatolites, which are microscopic layered structures that are often produced by a community of microbes, proving that life may have formed quicker - about half a billion years after Earth formed - and easier. Although not every scientist is convinced this fossil was once living, if this discovery proves real then it gives scientists a better understanding of how our planet evolved and how life came to exist, and may also give hope for life forming elsewhere [read more about the oldest fossil on Earth]. Using NASA's Hubble Space Telescope, astronomers have imaged what appear to be water vapor plumes erupting from off the surface of Jupiter's moon Europa, and could allow missions to Europa to collect samples of Europa's oceans without having to drill through miles of ice. Europa has a huge global ocean containing twice as much water as Earth's oceans, which is protected by a layer of extremely cold and an unknown thickness of ice, but "is considered to be one of the most promising places that potentially harbor life in the solar system," states the acting associate director for NASA's Science Mission Directorate [read more about NASA's exploration of water on Jupiter's moon]. The Reactions science video series created by the American Chemical Society helps to uncover the chemistry of everyday life through short videos and infographics. This video provides an animated explanation about the chemistry and function of lithium-ion batteries and how to extend the life of your phone's battery [watch this short video about how the chemistry of smartphone batteries]. Explore these great events to keep your visitors engaged in STEM throughout the month of October. For a list of events and activities throughout the year, visit http://www.nisenet.org/seasons.